Would you like to join ‘Team Salford Foodbank’ in Britain’s most popular 10k or the half-marathon? With over 40,000 people taking part each year you could join our 2019 running team for an unforgettable experience whilst helping to feed local people who are in crisis. If you want to be part of Team Salford Foodbank, we will give you a free Salford Foodbank vest or t-shirt to wear on race day and access to an online ‘Local Giving’ fundraising page. You can apply for one of our free charity places in return for a pledge to raise a minimum of £100 in sponsorship for the 10k or £150 for the half-marathon (sign up below). If successful, we will then issue you with a code and you will be able to register for free on the Great Run website. Already have a place or want to register for a place that you will pay for? 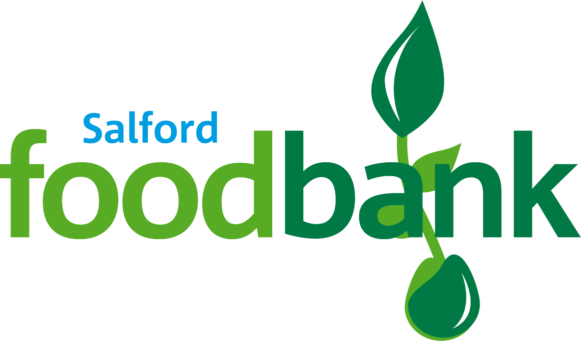 If you would like to support Salford Foodbank, we would love to hear from you (sign up below). Don’t forget to choose Salford Foodbank as your charity of choice during registration on the Great Run website. It is listed under the ‘social welfare’ section. Please use this form if you'd like to join Team Salford Foodbank.